Eurosport, the number one sport destination in Europe, has partnered with Spotify to release a sport-inspired anthem as part of its latest marketing campaign. 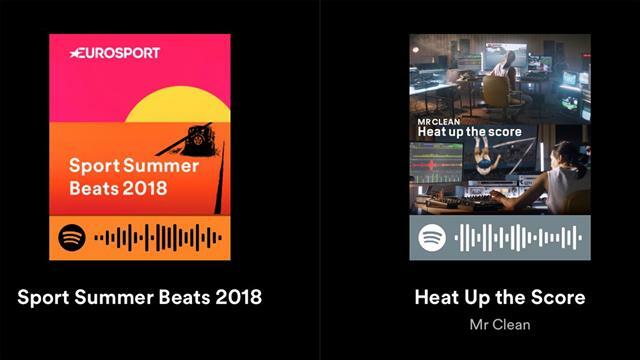 Eurosport’s Summer Beats creative, celebrating the channel’s summer schedule, is underpinned by the creation of an original song ‘Heat Up the Score’ performed by Mr Clean, featuring Kelli and Mansa Wakili. The new composition provides the soundtrack to the campaign advertising spot which launched on Eurosport’s linear and digital platforms this week. To support the campaign, Eurosport has teamed-up with the world’s most popular music streaming service, Spotify, and made ‘Heat Up the Score’ available to stream and share to its community of over 170m users worldwide. The track samples the sounds of 10 sports set to feature on Eurosport this summer, including events and competitions including; Roland Garros and US Open tennis; Major League Soccer; European Athletics Championships; Tour de France cycling; 24 Hours of Le Mans and Formula E motor racing and the FIM Superbike World Championship – fuelling the passion of sports fans for the summer ahead. Sound bites from some of the biggest names in sport, such as Serena Williams, Zlatan Ibrahimovic and Roger Federer, also feature on the creative’s soundtrack. Eurosport has also created its own 'Sport Summer Beats 2018' playlist on Spotify, allowing fans to add sport to their summer soundtrack and stay connected with the season’s biggest events. "The creative inspiration for Summer Beats is driven by connecting music and sport - two of people’s biggest passion points around the world. Live sport is the soundtrack to many fans summers and we wanted to create a track and playlist that appeals to a digital demographic and promotes our fantastic live sport content. Spotify is the perfect partner to amplify this campaign, helping the Eurosport brand reach new, hugely influential and hyper-connected digital fanbases. " Eurosport is the number one sport destination in Europe, fuelling the passion of fans and connecting them with the greatest sports events in the world. As the Home of the Olympic Games in Europe, Eurosport delivered the ultimate Games experience for PyeongChang 2018 reaching both record linear and digital viewership across localized Eurosport services. Firmly established as the Home of Cycling, Grand Slam Tennis and Winter Sport, Eurosport channels – Eurosport 1, Eurosport 2 – reach 242 million cumulative subscribers across 75 markets in Europe, Asia Pacific, Africa and the Middle East. Eurosport.com is Europe’s No 1 online sports news website with an average of 42 million unique users per month and, along with the Eurosport app (available on iOS and Android), the only place to watch Eurosport anytime online, on mobile and on tablet devices. Eurosport Events specializes in the management and promotion of international sporting events. More information is available by visiting corporate.eurosport.com. Spotify transformed music listening forever when it launched in Sweden in 2008. Discover, manage and share over 35m songs for free, or upgrade to Spotify Premium to access exclusive features including offline mode, improved sound quality, Spotify Connect and ad-free listening. Today, Spotify is the world’s most popular music streaming service with a community of over 170m users, including over 75m subscribers, across 65 markets. We are the largest driver of revenue to the music business today.